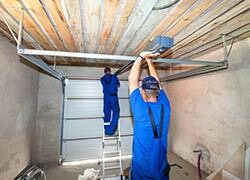 If you sense a problem with your garage door, call Exclusive Garage Door Service right away. You might just need a small repair or adjustment. But you can make the problem worse by not acting fast. A small problem can escalate into a major disaster, costing your business unnecessary time and money, possibly requiring an entire new door. If your door won't open or close as it should or it makes noises when it opens or closes, contact us to diagnose the problem rather than attempting to fix it yourself. You might not think about it, but a heavy garage door can be dangerous as well. Rely on the expert technicians at Exclusive Garage Door Service to make sure your door is properly fixed and safe to operate. 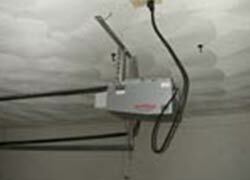 We will show up with the all necessary tools and equipment to quickly repair your commercial garage door. Another potential problem is the toll regular wear and tear takes on a commercial garage door. If you see signs of deterioration or notice your door is not operating normally, our technicians will inspect it and make any repairs to get it properly functioning. Remember, it’s always better to fix a malfunctioning door before it becomes damaged beyond repair and requires replacement. 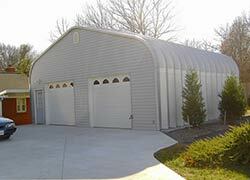 Exclusive Garage Door Service has a long history of keeping commercial garage doors working for a long time. Let us do the same for your business. Exclusive Garage Door Service recommends regularly inspecting your home or commercial garage doors. 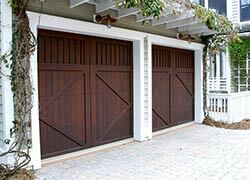 Garage doors require several moving parts that must continue to work together to make the door function properly. Sometimes a part will wear down or cease to work, rendering the door useless. It’s critical to have specialists routinely inspect your doors for any potential problems you most likely wouldn’t notice. Our technicians will carefully examine the door and its many working parts to prevent possible breakdowns. We will be sure your door continues to function properly and prevent expensive repairs in the future. During your Exclusive Garage Door Service garage door inspection, our experts will thoroughly look at each part of your garage door, including the remote door opener, springs on sides, cables, tracks, and each piece of hardware. 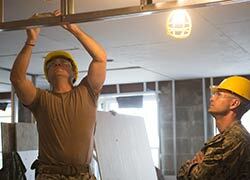 They will look for anything that looks worn or could cause a problem in the future. Each part of every mechanism will be scrutinized so that the technician can make suggestions or follow up with repairs. Among the possible maintenance possibilities are replacing worn parts, oiling needed parts to improve function, tightening bolts, or adjusting the tension on springs. We know you’ll agree that such maintenance is preferable to discovering one day your door won’t open or close. Trust our inspectors to extend the life and usefulness or your garage door. Did you accidentally back into your garage door? No worries, we’ve seen that before. That’s just one of the ways a garage door can be damaged. Other times it can wear out or stop functioning due to its age or continual use. It’s not only inconvenient; it can actually threaten the security of your home or business. That’s why Exclusive Garage Door Service is on call 24/7 to respond to emergencies involving damaged doors. Whether it’s an accident or a malfunction, give us a call and we will be there right away to help you. Exclusive Garage Door Service is a recognized leader in Indianapolis, IN community for fixing broken garage doors on the day that our customers contact us. Our garage door experts will rush to your aid to repair your garage door and restore the security of your belongings and your residence or business. We’ll quickly and efficiently determine the problem and give you our expert opinions and top-notch service on the spot. Whether your door is damaged or broken, contact us for the fastest repair or replacement. Our staff is trained and experienced in various door types and brands, so you can rest easy knowing your garage is safe and your door is operational. Special tracks make sure your garage properly opens and closes as needed. But if the door is not on track for any reason, it could not work as intended or cease working completely. This is one more problem you can rely on the experts from Exclusive Garage Door Service to solve. There are many reasons a garage door can leave its tracks. The cables can break by accident or fail after years of repeated use. Sometimes, the cables will break if exposed to water, heat, or cold. A cable break is often limited to one side of the track, and the break usually occurs when the door is rising. Other times, a garage door can be forced off the track if something blocks the door as it is closing. No matter how it happens; Exclusive Garage Door Service can get your garage door back on track. This is another time you should trust our professionals rather than attempting to fix it yourself or contacting a local group in Indianapolis, IN. Exclusive Garage Door Service has vast experience in getting garage doors back on track and functioning properly. If you continue to try to use an off-track garage door or don’t have it properly repaired, you can do further damage, destroying the entire door mechanism and even pose a danger. We are here to help, and we urge you to seek our expert service to ensure your garage door gets and stays on track.